International conference "Agroforestry - environmental and production alternative in agriculture"
Konference je určená pro zástupce zemědělců, především Agrární komory, Zemědělského svazu, Českomoravského svazu zemědělských podnikatelů, Asociace soukromých zemědělců, zástupce a rezprezentanty MZe, zástupce samospráv, politiky, i všechny zájemce z řad odborníků, zemědělců a akademiků. 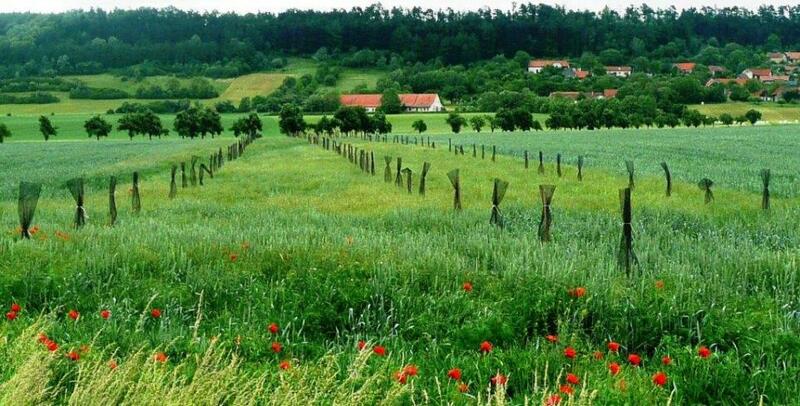 The conference „Agroforestry – environmental and production alternative in agriculture“ is organised by the Czech Agroforestry Association under the auspice of the Ministry of Environment, Ministry of Agriculture and the Commission for Environment of the Czech Academy of Science. It is a follow-up of previous seminars and conferences on agroforestry held in recent years. However, the results of scientific research, best practices and policy from countries where agroforestry has been implemented for many years, exclusively by guests from abroad, will be newly introduced: e.g. Patrick Worms (president of EURAF), doyen of French agroforestry and founder of Europe´s oldest AF research areas Christian Dupraz or British practical farmer Stephen Briggs are among those who have accepted the invitation. Place of event: Czech Academy of Science, Prague, Národní 3, hall 206. The official invitation with detailed program is available here. Please, register for the conference via formular by April 10 2019.